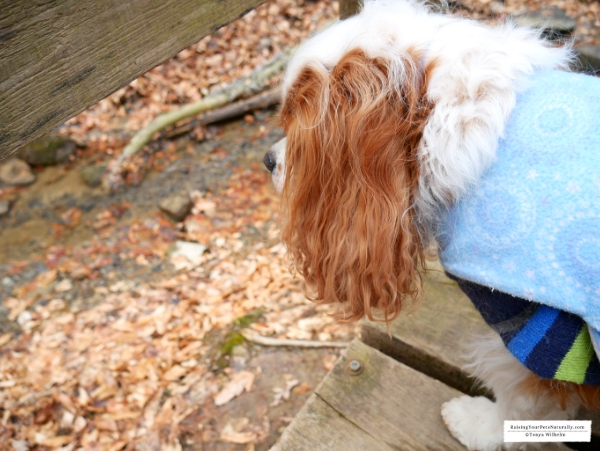 During our dog-friendly road trip to Cambridge, Ohio, we stayed at Salt Fork Lodge in Salt Fork State Park near Cambridge, in one of their dog-friendly cottages. Whenever I plan a pet-friendly vacation, I’m always on the lookout for fun and unique accommodations. I wanted a place to relax and unwind. 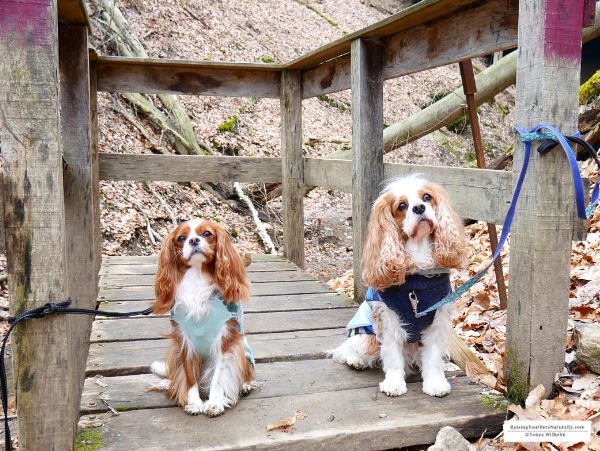 Salt Fork Lodge offered a perfect dog-friendly retreat. Watch the video vlog below. Subscribe to the vlog today. 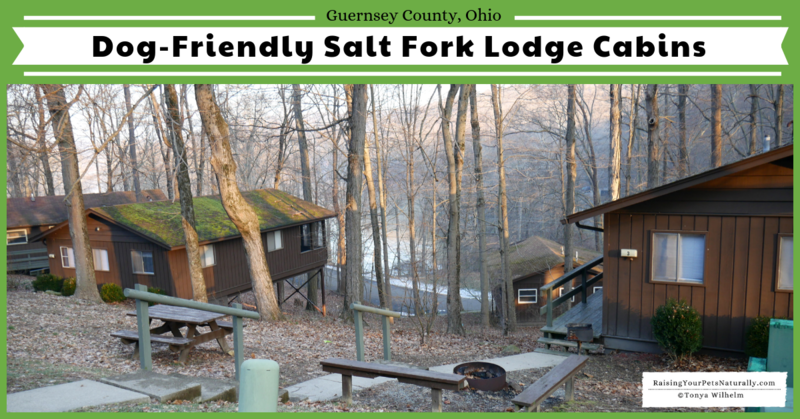 Salt Fork Lodge is one of the Great Ohio Lodges nestled inside of Ohio’s largest state park, Salt Fork. 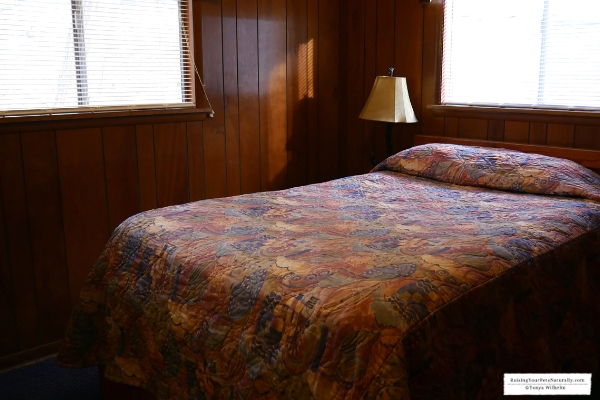 If endless outdoor activities, lush woods, natural beauty, the state’s largest inland beach, and possibly sighting Bigfoot sounds intriguing, you need to look no further than Salt Fork Lodge. 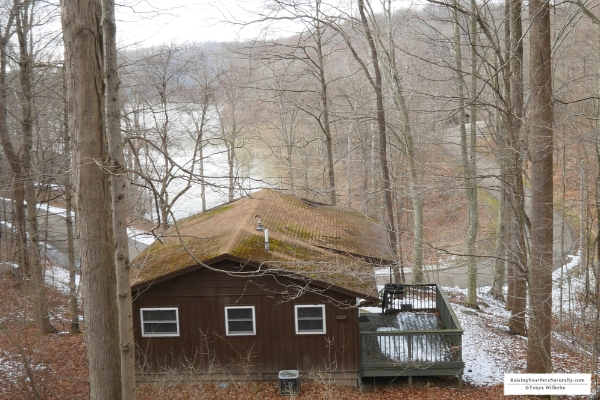 Salt Fork Lodge provides pet-friendly cabins for both dogs and cats. When we arrived at our dog-friendly cottage I was struck by the beautiful landscape and all the magnificent trees. 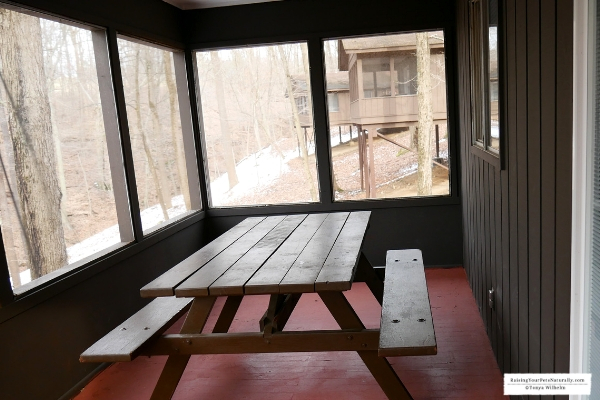 Our hillside cabin offered plenty of private outside areas to walk the dogs. Each dog-friendly cottage was provided with 2 parking spots, an outside garbage area, and even a dog pickup station! How cool is that? 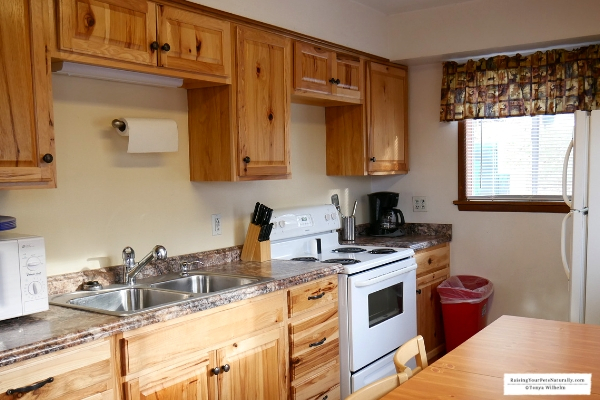 Our pet-friendly accommodation included two bedrooms, a living room, full kitchen, and bath along with a large screened-in porch with a picnic table. 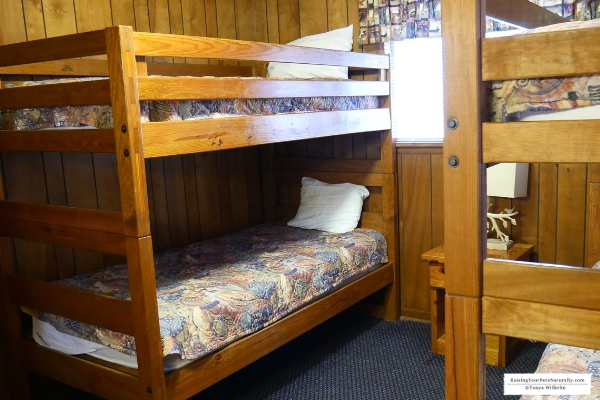 Other amenities included Wi-Fi, central air conditioning, heat, cable television, and outside fire ring. The fully furnished cabin was decorated in an outdoorsy, rustic decor. On Saturday, we spent the day driving and walking around Salt Fork State Park. With over 17,000 acres of flora and fauna to explore, we were ready for a big day. We drove around the entire park and stopped at each trailhead to look at and photograph the rugged beauty. The morning was serene as we watched the geese floating on the lake. Portions of the lake shoreline are covered with large rocks, which make ideal fishing areas. It’s a fisherman’s dream with large and smallmouth bass, white bass, walleye, catfish, muskellunge, crappie, and sunfish. We continued to drive around the park and kept our eyes out for some of the local wildlife such as deer, turkey, grouse, fox, owls, and we were really hoping to see Bigfoot! Bigfoot has been rumored to live in Ohio since the 1700s, with over 36 Bigfoot sightings in Salt Fork. Don Keating even hosts an Annual Bigfoot Conference at Salt Fork Lodge. So, we kept our eyes peeled. 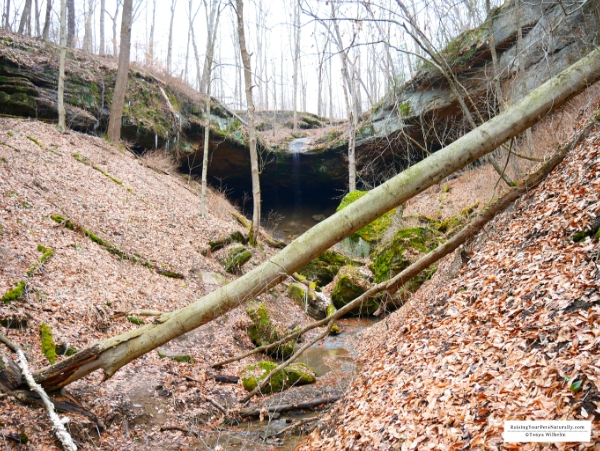 Because Salt Fork lies in the unglaciated portion of the state, thick-bedded and erosion-resistant sandstone creates shelter caves and waterfalls such as Hosak’s Cave. We decided to walk Hosak’s Cave Trail with the dogs. When we arrived, we were greeted by a stone carving of an angel commemorating fourteen-year-old Aubrey Parson, who fell to her death in 2003. It was a reminder that beauty can be dangerous when precautions are not taken. The trail itself, was quite easy, but a bit wet from the rain. Chris and I ensured that the dogs had short leashes and stayed very close during our hike. We were able to easily and safely walk to the 50-foot high cave that had a small waterfall. The waterfall can be much larger during the spring and summer months. After our short hike, we hopped back into the car to continue to explore. 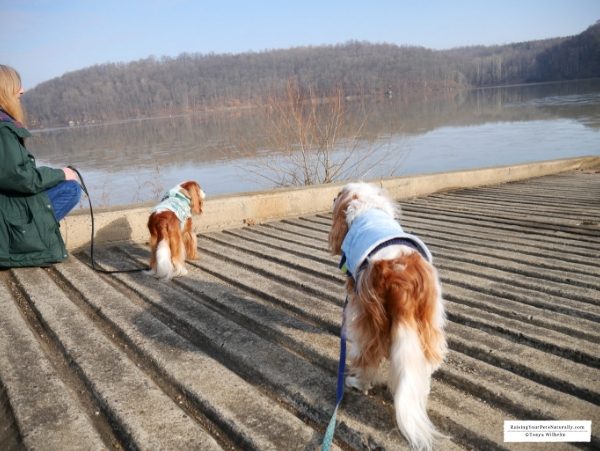 Salt Fork Park offers a dog park along Ohio’s largest inland beaches. However, the road to the park was closed during our stay. We did run into two others that were temporarily closed. Chris and I took turns checking out the Salt Fork Lodge. Dogs are not permitted in the lodge, but we wanted to visit the gift shop and look at the other amenities such as the indoor pool, game room, dining room, fitness center, and Jacuzzi. The lodge was full of families and guests. For those of us staying with our dogs in one of the dog-friendly cabins, we do have the option of leaving our dogs in the cabin for a couple of hours while we participate in other lodge activities. After a full day, we were ready to head back to our cozy cottage and relax. The boys were beat, and so were we. For dinner, we ate our leftovers from McKenna’s Market while enjoying the stunning views from the porch. It was a little cool, but hearing the birds nestle in for the night was worth it. If you and your furry friend enjoy hiking, swimming, or just want a place to relax, I highly recommend a visit to dog-friendly Salt Fork Lodge. You won’t be disappointed. Tell them that Dexter sent you. Lovely places to live a great vacation without giving up your dog his comfort! Thanks, Cristina. It’s always so nice to be able to travel with the dogs. This is a lovely place to stay for travellers with dogs, and what a nice hike too! I won’t be forgetting Salt Fort Lodge anytime soon! Thanks, Lisa! Salt Fork Lodge was a great spot. I hope to visit again soon. This is amazing!!! The cabin looks amazing and it is great that it is dog-friendly. So so cool. Thanks, Chad. The cabin was perfect and the dogs really had a great weekend. OMG they have their own beds!! this place is just to adorable. LOL They sure could have! I love seeing more and more pet friendly hotels and resorts. Our pets are family and it’s so much fun to bring them along, too. 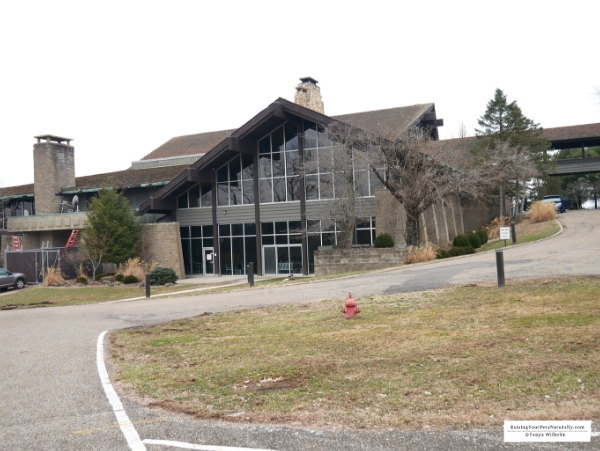 Thanks for the video, Salt Fork Lodge is really a nice place to stay. I can see there are still some layer of snow on the ground, hope it is not too cold. Is the room warm enough at night? Thank you for sharing! We have two traveling dog babies when we go on trips! This is nice to know! You bet! I love sharing great dog-friendly destinations. Enjoy your travels. What a cool place to stay! The lodging looks cozy. I like that cats are also welcome (I have a dog & a cat). 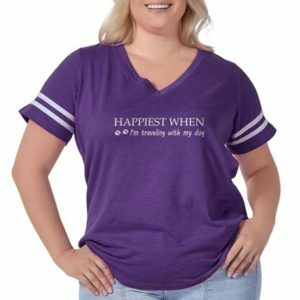 It sounds like you guys had a great trip! Hi, Sam. It really is nice that cats are welcome too. That’s not always the case with accommodations. I’m hearing about more and more people traveling with their cats. Oh wow! Such a beautiful place to visit. It looks relaxing there and your dogs look so comfortable in that place. Hi Gladys. The dogs loved the cabin and park. It was a great retreat. Looks like a nice place for some R & R! We love taking our pup on vacation and it’s always so nice to find dog-friendly accommodations. I will definitely keep this place in mind! Thanks, Emmy. 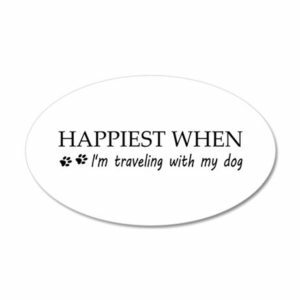 I love hearing about other dog travelers. 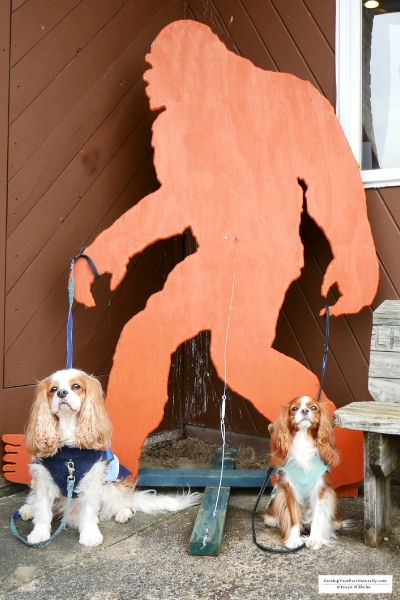 Salt Fork Lodge is a great destination for dog families. Thanks, Lyosha. I agree dogs are part of the family. 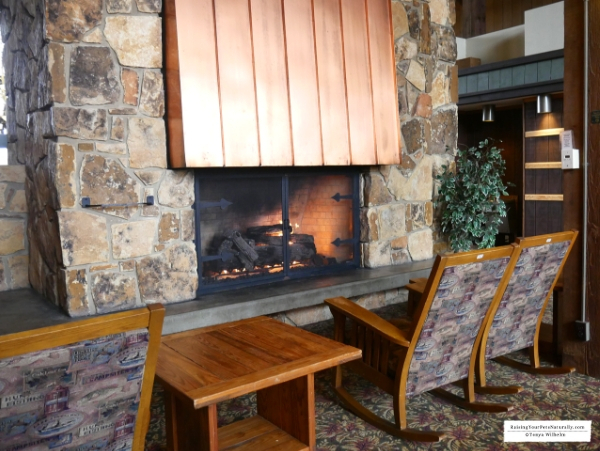 Salt Fork Lodge is perfect for families of all shapes and sizes. this looks like a great place to explore! especially for the doggos! It was huge! We need to take another trip to explore more parts of the park. Oh wow, what a relaxing place it is, I love traveling with my dogs and I love to see places that allows our fur babies. It was very relaxing, a great way to kick of the year. We love Salt Fork! I’ve. Ever stayed at the lodge but it looks great. Thanks for all the photos! Ya! Glad to hear another fan. The lodge looked very welcoming. How beautiful. It looks like your babies loved it here as well. They really loved the cabins! I would love to take our dogs on a trip sometime. These look like some awesome cabins to stay in. You should do it. It’s such a great experience. Perfect cabins! So cute dogs – this looks like a great place to just unplug and unwind for a few days, which we all could use. I’m glad to see so many more pet friendly places. Thank you. It was such a relaxing weekend. What a fantastic place for a vacation with your furry friends! Thanks, Nati. We had such a great time at Salt Fork Lodge and Cabins. What a great place for a vacation! Your dogs are adorable, too. This is definitely the type of vacation hubby and I would want to take, and bring our four dogs along with us. Thanks! 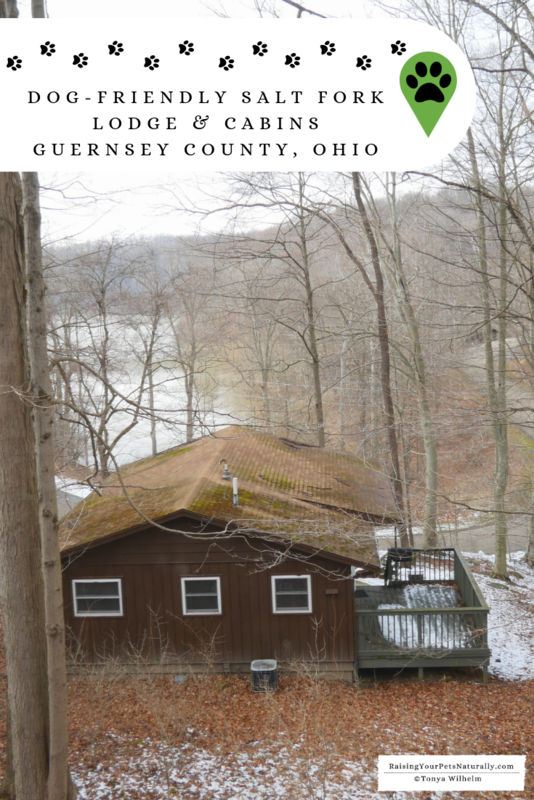 We had such a lovely time visiting Guernsey County and staying at Salt Fork Lodge & Cabins. You guys should definitely visit.